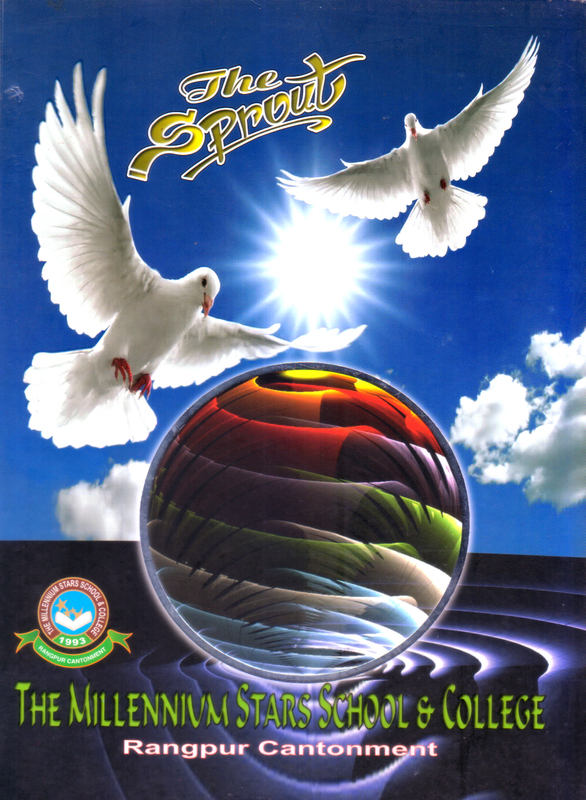 Introduction: The Millennium Stars School & College, Rangpur is publishing Magazine Every Year. It is an embodiment of thinking of the students. They can express the green ideas of their mind through this. The name of our magazine is “Sprout” It is an annual publication. Varieties in our school magazine: Our magazine has both Bengali and English sections, jokes, one-act play, riddles and other educative writings are published in the magazine. After all the works of publication when the magazine reaches the hands of us, our joys know no bounds. The students feel very happy to see their writings in the printed book, for this the publication of school magazine is very important. Conclusion: the school magazine helps the young learners and writers to develop their latent faculties. They can know about literature, history, science and many other things from it. It also helps them in developing their power of thinking from it. It also helps them in developing their power of things from it also helps them in developing their power of thinking on writing. So, i think every school should have a magazine.